I've been meaning to post this recording for a while. Nwanyi Ma Obi Diya (Onyeoma C.Y. 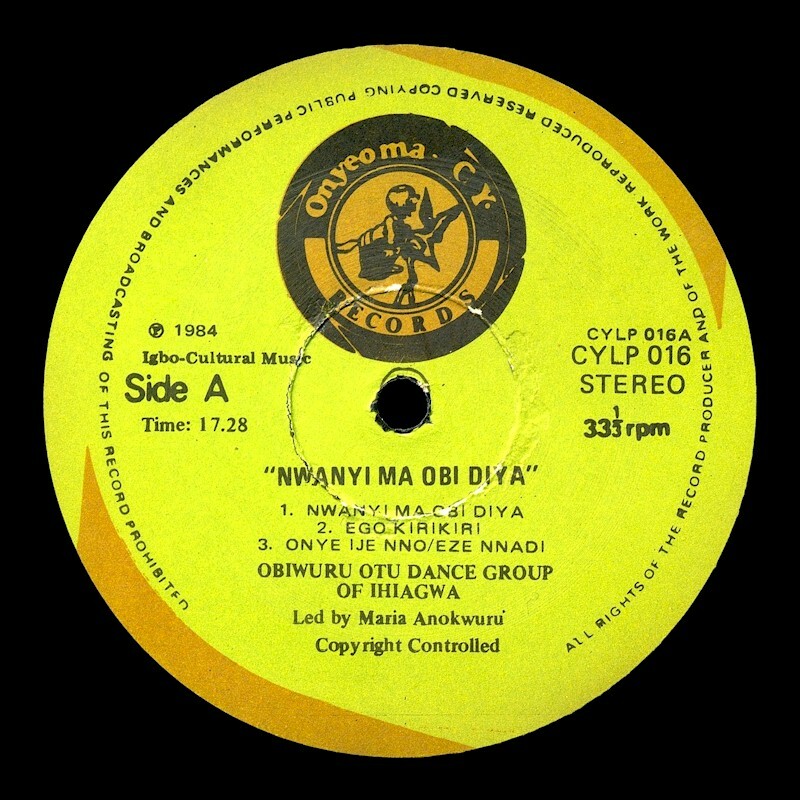 Records CYLP 016, 1984) by the Obi Wuru Otu Dance Group of Ihiagwa-Owerri is guaranteed to fill the dance-floor at any Igbo party it's played. 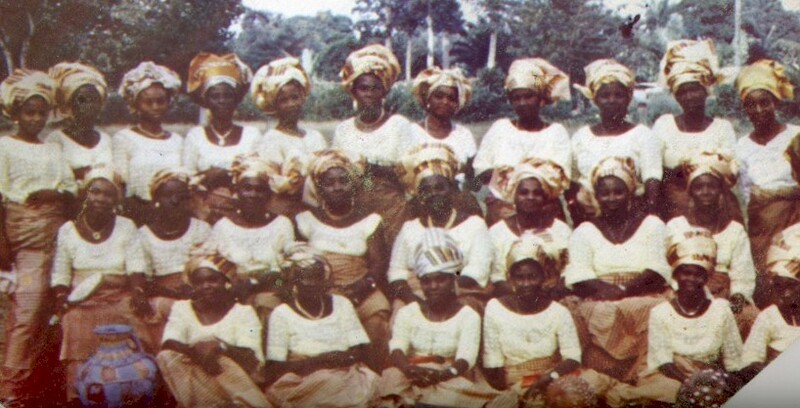 The vocal stylings of Rose Nzuruike (above) were what made Nwanyi Ma Obi Diya stand out amid a torrent of similar releases during the '80s, and what sends Igbos, and especially Owerri indigenes, into a swoon. Which is not to short-change the talents of the group itself (below) and especially its leader, Madam Maria Anokwuru. Released on an obscure Onitsha record label, it became one of the biggest-selling Igbo records of all time. Many thanks to my wife Priscilla for translating the lyrics of this record. Download Nwanyi Ma Obi Diya, complete with scans of the album sleeve, here. I have a couple more albums by the Obi Wuru Otu Dance Group, and will probably post them in the future.